Drill programs are, without question, the most exciting periods possible in the life of an exploration company and, as I write this, Lithium Chile’s technical team is working flat out preparing for our multi-project program in Chile. These preparations follow hot on the heels of a series of geophysical surveys we conducted on our highest-profile projects. For anyone new to mineral exploration, it’s important to understand that surveys are an important step in identifying high-profile areas and, with the right analysis, planning specific drill targets. If you missed our recent news releases, I’m delighted to highlight the fact that our recent surveys discovered a huge, 60km2 target area at the Helados project, as well as multiple large target areas of 20-25km2 at the Atacama and Ollague projects. What’s more, these target areas coincide with the locations of our highest grades from the sampling program carried out earlier on these projects. For the Helados project, which comprises 30,100 ha, sampling within the survey target area returned near-surface, high-grade results of up to 1280mg/l and excellent chemistry. This project is located 80 km east of the Salar de Atacama in the Andean Lithium Belt and is accessible year-round by paved highway and is just 50km from the town of San Pedro de Atacama. In the case of Atacama, we’re talking about highs of more than 1300mg/l. In fact, our understanding of the Atacama target thus far, is that is has similar characteristics to the lithium-rich principal aquifers at Salar de Atacama, where SQM operates the world’s largest and highest-grade lithium brine mine. Both Atacama and Ollague are also accessible year-round by paved highway, in proximity to the towns of San Pedro de Atacama and Calama. Also, our tests have once again shown first-rate chemistry, including a lithium-to-potassium ratio of 0.9 to 0.1 and a magnesium-to-lithium ratio of 2.6 to 7.1. Of course, our land package extends far beyond the projects that will be included in the initial drill testing. In fact, we have 100% ownership of 15 projects covering 152,900 ha, over some of Chile’s most prospective lithium brine basins, or salars. If you’ve not yet watched the video we recently filmed onsite at several of our projects, I thoroughly recommend taking a look and, as soon those drills go into the ground, I’ll be sure to alert shareholders. Take a tour of some of Lithium Chile’s top projects and watch interviews with our CEO as well as our VP Exploration and one of our directors. The range of end-uses for lithium is evolving and with it, so is demand. Recent data from Benchmark Mineral Intelligence estimates that somewhere around late 2016, batteries crossed the 50%-mark in terms of overall lithium usage – up from 42% earlier that year. In other words, half of the world’s lithium production is going into batteries. Think about that for a moment. 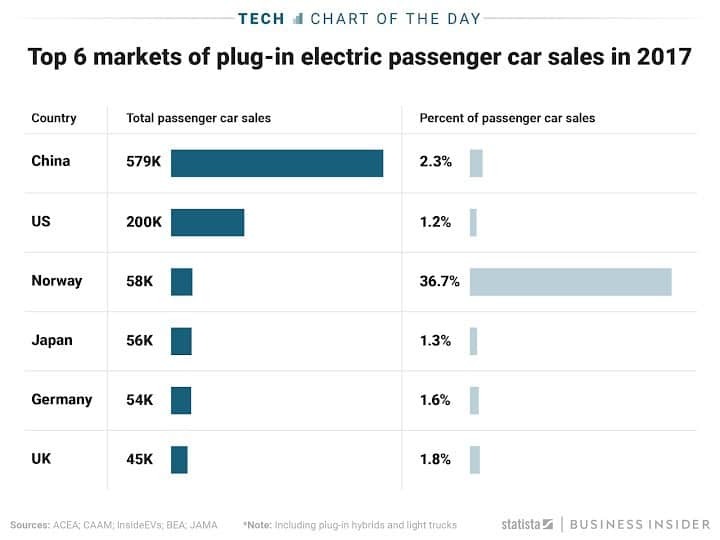 It’s one thing to hear that batteries are driving lithium growth but another to see a statistic like that and of course, I say half of all production but it’s more than that now. In fact, estimates point to batteries demanding 67% of lithium supply by 2020. If you’re not fully up to speed to with this battery-powered industry revolution yet, you might be tempted to ask: are electric vehicles really going to be that big? The answer is yes, they sure are and bear in mind that recent announcements from Ford, Volkswagen and Toyota do not yet equate to real demand. In other words, the biggest future consumers have yet to enter the real market. However, the lithium growth story is more than EVs. Drones, robotics, artificial intelligence, nanotechnology, biotechnology, 3D printing… there’s a long list of technology that’s pushing into the mass-market. It’s an exciting time to be in the lithium exploration and development business but the one source of demand that I feel has been consistently and widely underestimated is energy storage. If you don’t know much about energy storage, I’d like to draw your attention to a couple of landmark projects completed in 2017: the 326-MWh Aliso Canyon project, in California, which was installed and operating in just eight months, and the 129-MWh Tesla installation, that was completed in three months in Hornsdale, South Australia. The Australian project is particularly interesting in my opinion, because it showcases one of the many reasons that utilities are lining up to install energy storage capabilities. Just one month after it was installed, the Hornsdale Power Reserve had already handled two major grid outages – coming online in just 0.14 seconds, compared to the 30 minutes or so that it would have taken for the neighbouring coal-fired power station to have taken up the slack. Together, these projects lifted global installed, grid-connected energy capacity by 30%… and this is going to mean even more upstream lithium supplies as the size and number of installations increase. Overall, it’s important to remember that we’re in a demand cycle for energy metals, amidst a once-in-a-lifetime structural shift, on a macro level, in mobility and energy storage. Within that cycle we are going to see price fluctuations, regional corrections and possible price convergence. However, while we can’t be sure exactly what lithium demand will look like ten years from now, we do know that these sectors are set to drive growth for energy commodities and refined chemicals to unprecedented levels. Automakers – Better Get Out The Chequebooks! http://lithiumchile.ca/wp-content/uploads/2018/06/chilelogo.png 0 0 LithiumChilex http://lithiumchile.ca/wp-content/uploads/2018/06/chilelogo.png LithiumChilex2018-02-16 02:00:542018-05-28 17:57:14Automakers - Better Get Out The Chequebooks!